The following rules and regulations apply to all visitors to or users of the DollsOfIndia Web Site, the home page of which is at www.dollsofindia.com. By using this Web site, you agree to be bound by any rules and regulations, as they may be modified by DollsOfIndia at any time and posted on any webpage of this Web site. In the event of a violation of these rules and regulations, DollsOfIndia reserves the right to seek all remedies available by law and in equity. DollsOfIndia Web Site and all of its materials, including, but not limited to, its software or HTML code, scripts, text, artwork, photographs, and images (collectively, "Materials" ) are protected by copyright laws and other Indian and international laws and treaties. All Materials are provided by DollsOfIndia as a service to its current and prospective customers and may be used only for personal informational and product ordering purposes and only if you also retain all copyright and other proprietary notices contained on the Materials. No right, title or interest in our Materials is conveyed to you This is a limited license, not a transfer of title to our Materials, and such license is subject to the following restrictions: (a) you may not copy, reproduce, publish, transmit, distribute, perform, display, post, modify, create derivative works from, sell, license or otherwise exploit this site or any of its Materials without our prior written permission; (b) you may not access or use the DollsOfIndia Web Site for any competitive or commercial purpose; and (c) you will not permit any copying of our Materials. Any unauthorized copying, alteration, distribution, transmission, performance, display, or other use of these Materials is prohibited. DollsOfIndia may revoke this limited license at any time for any or no reason. All rights not expressly granted are reserved by DollsOfIndia. Periodically, links may be established from this Web Site to one or more external web sites or resources operated by third parties (the "Third Party Sites"). These links are provided for your convenience only. In addition, certain Third Party Sites also may provide links to the DollsOfIndia Web Site. None of such links should be deemed to imply that DollsOfIndia endorses the Third Party Sites or any content therein. DollsOfIndia does not control and is not responsible or liable for any Third Party Sites or any content, advertising, products, or other materials on or available from such Third Party Sites. Access to any Third Party Sites is at your own risk and DollsOfIndia will have no liability arising out of or related to such web sites and/or their content or for any damages or loss caused or alleged to be caused by or in connection with any purchase, use of or reliance on any such content, goods, or services available on or through any such Third Party Site. Access to DollsOfIndia Web Site is provided to our customers and prospective customers "AS IS" and "AS AVAILABLE" and without warranty of any kind, whether express or implied, INCLUDING BUT NOT LIMITED TO, THOSE OF MERCHANTABILITY, FITNESS FOR A PARTICULAR PURPOSE, TITLE OR NONINFRINGEMENT. Some jurisdictions do not allow the disclaimer of implied warranties. In such jurisdictions, the foregoing disclaimer may not apply to you. DollsOfIndia reserves the right to block or deny access to the Web Site to anyone at any time for any reason. Use of the Web Site is available only to persons who can form legally binding contracts under applicable law. Persons who are "incompetent to contract" within the meaning of the Indian Contract Act, 1872 including minors, un-discharged insolvents etc. are not eligible to use the Web Site. If you are a minor i.e. under the age of 18 years, you cannot register as a member of the Web Site and purchase any item visible on the Web Site. If you wish to purchase an item on the Web Site such purchase or sale may be made by your legal guardian or parents who have registered as users of the Web Site. Any discounts extended to you as a user of this Web Site are liable to be changed or withdrawn by DollsOfIndia as and when deemed necessary, without any prior notice. 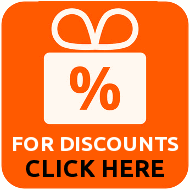 Discounts may or may not be applicable to certain items or may be applicable in varying degrees to various items and the same may be modified without any prior notice by DollsOfIndia. IN NO EVENT WILL DOLLSOFINDIA BE LIABLE TO ANY PARTY FOR ANY DIRECT, INDIRECT, INCIDENTAL, SPECIAL, CONSEQUENTIAL OR PUNITIVE DAMAGES FOR USE OF THIS SITE OR ANY OTHER HYPERLINKED WEB SITES INCLUDING, WITHOUT LIMITATION, LOST PROFITS OR REVENUES, COSTS OF REPLACEMENT, BUSINESS INTERRUPTIONS, LOSS OF DATA OR DAMAGES RESULTING FROM USE OF OR RELIANCE ON THE INFORMATION PRESENT, EVEN IF DOLLSOFINDIA IS EXPRESSLY ADVISED ABOUT THE POSSIBILITY OF SUCH DAMAGES. In some jurisdictions, limitations of liability are not permitted. In such jurisdictions, the foregoing limitations on liability may not apply to you. DollsOfIndia may terminate, change, suspend or discontinue any aspect of this Web Site, including the availability of any features of the site, at any time and without notice. DollsOfIndia also reserves the right, at its sole discretion, to change, modify, add or remove any portion of these terms in whole or in part, at any time and without notice. DollsOfIndia may terminate the authorization, rights and license given above at any time and without notice. Your continued use of this Web Site after any changes to these terms are posted will be considered acceptance of those changes.